Please click on name of teacher to email. She has been at HHCS for 14 years (non-consecutive). 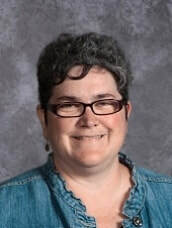 Mrs. Booth earned her degree in Christian ministries and history from Anderson University. In her spare time she enjoys reading, cooking, crafts, and art. The Lord is teaching her that every place you are in life, you can and should learn from it. 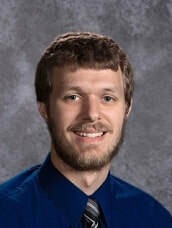 Mrs. Booth's husband, Joshua, is the secondary history teacher at HHCS. 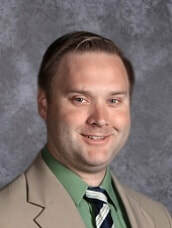 Mr. Booth earned his bachelor's degree in history from Anderson University. His favorite verse is John 15:13. In his spare time Mr. Booth likes to read, play board games, and play ultimate frisbee and strategy games. The Lord is teaching him to be patient. Mr. Booth is married to the art teacher, Amanda. Fun Fact: Mr. Booth can unhinge the left side of his jaw. Miss Bond is in her second year at HHCS. Her favorite verses are II Corinthians 12:9-10. In her spare time Miss Bond likes to take trips with friends and family. The Lord is teaching her to be patient in all circumstances. Fun Fact: Miss Bond has been at HHCS since preschool! 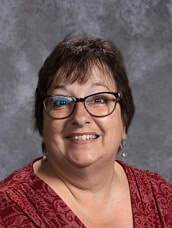 Mrs. Brown earned her bachelor of science and master's degrees in English and political science from Ball State University. She has been at HHCS for 41 years. Her favorite verse is I Timothy 6:12. In her spare time she enjoys golf, reading, gardening. Something the Lord is teaching Mrs. Brown is patience. Mrs. Brown and her husband, Phil, have two children and six grandchildren. Fun Fact: All 6 grandchildren are boys! Mrs. Callan earned her bachelor of science degree in speech education from Maranatha Baptist Bible College. She has been at HHCS for 42 years. Her favorite verse is Isaiah 41:10. Over the summer the Lord has taught her a lesson in faith and a was reminded that "our God is bigger than we are!" 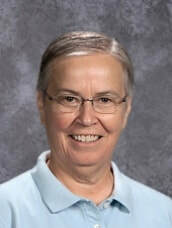 Mrs. Callan and her husband, Roy, have four children and six grandchildren. Fun Fact: Mrs. Callan likes to cook. Mrs. Carpenter earned her bachelor of science degree in elementary education from Pensacola Christian College. Her favorite verses are Psalm 1. In her spare time Mrs. Carpenter likes to crochet and explore the outdoors. The Lord is teaching her to trust His plan for her life and letting God mold you. Mrs. Carpenter and her husband, Jordan, were married in the summer of 2017. Fun Fact: She has been to 6 countries. His favorite verses are Psalm 71:17-18. In his spare time Mr. Carpenter likes to play sports and play around with computer programming. The Lord is teaching him to always rely on Him. Mr. Carpenter and his wife, Emily, were married in the summer of 2017. 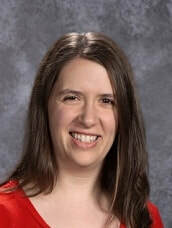 Mrs. Crull earned her bachelor of science degree in chemistry from Ball State University. She has been at HHCS for 22 years. Her favorite verse is Acts 16:31. In her spare time she likes to play with her grandson, Blake, and to work in her flower beds. The Lord is teaching her to accept her students without putting any previous judgement on them. ​Fun Fact: Mrs. Crull likes to read the comics and give them to others when they apply to something in their lives to put a smile on their faces. 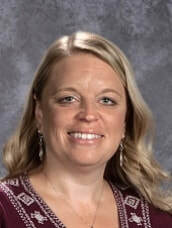 Mrs. Cunningham earned her bachelor of science degree in elementary education with a kindergarten endorsement from Taylor University. She has been at HHCS for 6 years. Her favorite verses are Philippians 4:6-7. In her spare time Mrs. Cunningham likes to spend time with her family and friends. Something the Lord is teaching her is His grace is sufficient. He provides unlimited His grace daily, and she needs to offer grace more freely to others. Mrs. Cunningham and her husband, Chris, have three children. Fun Fact: Mrs. Cunningham grew up on a pig farm in Farmland, IN. Mrs. Freeney has earned a Bachelors degree in English and Speech education. In her spare time Mrs. Freeney likes to spend time with her family and read. Something the Lord is teaching her is to "let go and let Him!" Her favorite quote is "Collect moments not things." Mrs. Freeney and her husband, Mike, have two children. 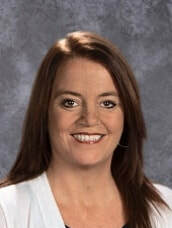 Fun Fact: Mrs. Freeney enjoys weightlifting and even competed in a power-lifting competition a few years ago! Mrs. Green has been at HHCS for 5 years. Her favorite verses are Joshua 1:9. "Have not I commanded thee? Be strong and of a good courage; be not afraid, neither be thou dismayed: for the Lord they God is with thee whithersoever thou goest." 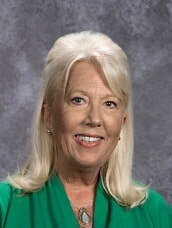 In her spare time Mrs. Green likes to spend time with her family and travel to south Florida to visit family. She loves to go to the beach! Something the Lord is teaching her is patience and the power of prayer. Mrs. Green and her husband, Robert, have four children and two grandchildren. Her favorite verse is Philippians 4:8. 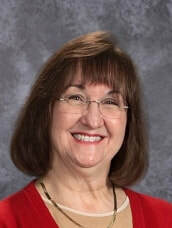 In her spare time Mrs. Gunther enjoys reading, playing sports hiking and spending time outdoors. The Lord has been teaching her to rest in Him for His timing and provision. Her favorite quote is “Wherever you are, be all there. Live to the hilt every situation you believe to be the will of God” ~Jim Elliot. Mrs. Gunther is married to Ryan, college pastor at Grace Baptist Church. They have one child. Fun Fact: Mrs. Gunther grew up in Montana. Pastor Halleck earned his bachelor's degree in music education from Bob Jones University. In his spare time he likes to hang out with his daughters. The Lord has taught him to wait on the Lord because it will be worth it. His favorite quote is “This time with talent!”. Pastor Halleck and his wife, Liz, have three children. 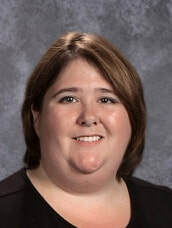 Mrs. King earned her bachelor of science degree from Ball State University and is currently working toward a master's degree. Her favorite verses are Proverbs 3:5–7. In her spare time she enjoys sewing, reading, making new computer games, and Skyping with her grandchildren in Guam. She is learning that she needs to put other's needs before her own. She wants to be a mentor to the new teachers. Her favorite quote is "Play now...pay later!" Mrs. King is married to Chuck and has two children, one stepson, four grandchildren, and one step-granddaughter. Fun Fact: Mrs. King grew up on a dairy farm. She love animals of every kind. Mr. McKee earned his bachelor of science degree from Maranatha Baptist Bible College. He has been at HHCS for 31 years. His favorite verse is Philippians 1:6. In his spare time he likes to barbecue, watch sports, and spend time with his family. The Lord has taught him that He always provides our needs and that he doesn't need to worry about them! 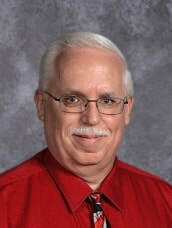 Mr. McKee and his wife, Lisa, have three children. 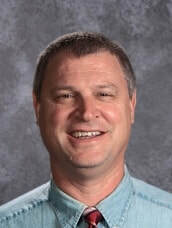 Fun Fact: Mr. McKee grew up in Wisconsin and is an avid Green Bay Packers and Wisconsin Badgers fan. Pastor Miller earned his bachelor of arts degree in youth ministries from Bob Jones University. He has been at GBS for 12 years, but only teaching for 3 years. His favorite verse is Proverbs 1:10. In his spare time he likes watching the Chicago Cubs, sitting around a fire outside, and watching Judge Judy. The Lord is teaching him that God's grace is sufficient for issues big and small. Pastor Miller is married to, Yetta, elementary secretary at HHCS. Fun Fact: Pastor Miller has an obsession with the color orange. 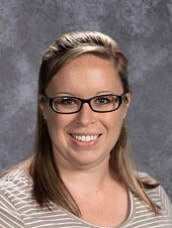 Mrs. Neese earned her bachelor's degree in math education from Ball State University. She has been at HHCS for 7 years. Her favorite verse is John 13:34. In her spare time she enjoys playing games and reading. The Lord has been teaching Mrs. Neese that there is a difference between being a Christian and being a Disciple. Mrs. Neese has two children. Fun Fact: Mrs. Neese went to clown school! Her favorite verse is Proverbs 3:5-6. "Trust in the Lord with all thine heart; and lean not unto thine own understanding. In all thy ways acknowledge him, and he shall direct they paths." Something the Lord is teaching her is "His way is perfect and when I rely on Him, He is always faithful to guide me to what is best and will glorify Him most." 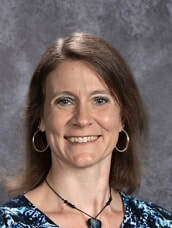 Mrs. Smith earned a bachelor's degree in elementary education from Anderson University. Her favorite verse is Romans 10:13. The Lord is teaching her to see each of her students as unique and to take a genuine interest in what is going on in their lives. To take every opportunity to give them the Gospel and to never assume they are saved. Mrs. Smith and her husband, Gary, have three children. 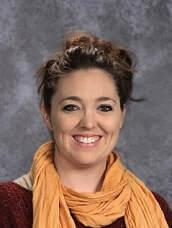 Mrs. Story earned a bachelor of science degree in early childhood education from Welch College. Her favorite verse is Ecclesiastes 3:1. In her spare time she enjoys spending time with her family, being outdoors, and photography. The Lord is teaching her that God will never close a door without opening another one. Her favorite quote is "When each day is the same as the next, it's because people fail to recognize the good things that happen in their lives everyday." Mrs. Story and her husband, Javen, have two children. Fun Fact: Mrs. Story is from Knoxville, TN. 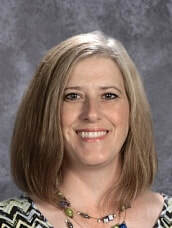 Mrs. Stonewall earned a bachelor of arts degree in interior design from Western Kentucky University. She has been at HHCS for 11 years. In her spare time she enjoys reading autobiographies, scrapbooking, traveling and planning special event parties and gatherings. Her favorite verses are I John 5:13-15. Her favorite part of her job is seeing the kids grow not just physically but spiritually each year. Mrs. Stonewall and her husband, James, have one daughter. 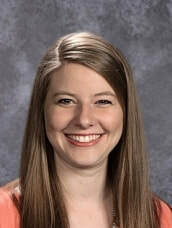 Mrs. Ulrey earned a bachelor's degree in Spanish and a master's degree in TESOL and linguistics from Ball State University. She has been at HHCS for 4 years. Her favorite verse is Isaiah 30:21. In her spare time she enjoys genealogy research, painting, and organizing things. The Lord has been teaching her that everyone is unique, everyone is special, and everyone has something to contribute. Her favorite quote is "In light of eternity, how important is it?" Mrs. Ulrey and her husband, Randy, have two children. Fun Fact: Mrs. Ulrey has met people from around 25 countries and has taught students from at least 13 of them. In his spare time he to read and visit historical sites. In her spare time she likes to spend time with her family, cook and bake. Something the Lord is teacher her is that she should write her plans in pencil and give God an eraser and pen. Her favorite quote is “For most of us teaching is not just what earns our paycheck. Teaching is what we were put on earth to do,” by Robert John Meehan. Fun Fact: Miss Wallace has been able to visit 3 different African countries with the BJU Africa Missions Team. Mrs. Vaughn earned her master's degree from Ball State University. 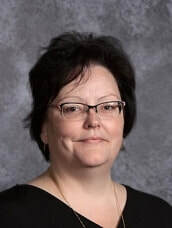 She has been at HHCS for 30 years. In her spare time she enjoys hiking, traveling and reading. Her favorite verses are Psalm 40:2–3 and Psalm 32:8. Her favorite part of the job is helping the children find the joy and excitement of learning academically and spiritually. Her favorite quote is “He is no fool who gives what he cannot keep to gain that which he cannot lose,” by Jim Elliot. Mrs. Vaughn and her husband, Gary, have two children and four grandchildren.